Campgrounds are vacation spots, event spaces and even seasonal living quarters for many people year-round. While some campgrounds offer the bare minimum in amenities, a clean, spacious shower or bathroom trailer is often valued by visitors. 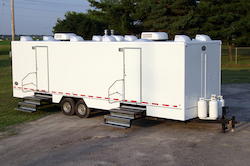 For campground owners who are looking for a temporary or permanent solution to bathroom traffic on their Ohio, West Virginia, Pennsylvania, Indiana, Kentucky or Michigan property, a shower or bathroom trailer from Superior is the perfect fit. 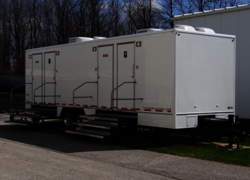 Our porta potties & trailers are clean and well-kept and provide the modern conveniences of a brick and mortar bathroom area. Heat or cool your bathroom trailer, or provide a touch of class with wood grain floors. Your guests will appreciate the added amenities to their outdoor stay. 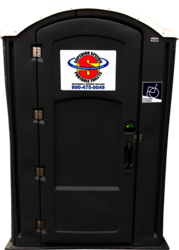 Superior is the right partner for all portable toilet needs. Our quality products and friendly service help set us apart, And yes, we even clean and deliver! Contact us today with questions or to get started.